Post-doctoral fellowship training is integral to the academic life of the Center. Four senior faculty hold K24 Mentoring Awards to protect time to work with post-docs and junior faculty in order to foster their work and progress to independence. 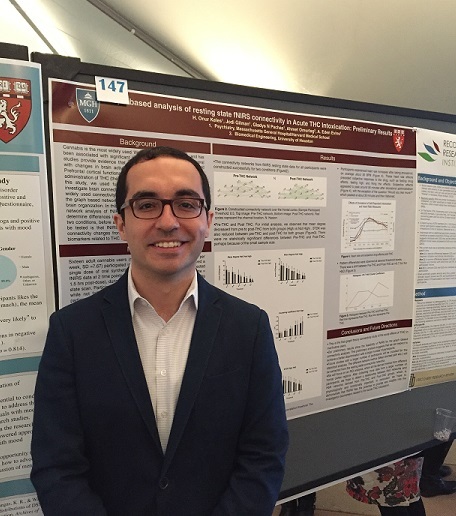 Fellows work on their own independent research projects in a mentored environment with research coordination, project management, regulatory, and statistical support. 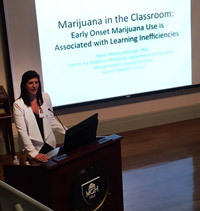 We are pleased to announce that the K12 Career Development Program in Substance Use and Addiction Medicine, based at the Massachusetts General Hospital (MGH) and funded by the National Institute on Drug Abuse of the National Institutes of Health, is recruiting one post-doctoral clinician- scientist to start on or after July 1, 2019. The award aims to help the Scholar establish an independent research program in patient-oriented substance use and addiction research. The program provides salary, training and project support for a 2- to 3-year period of intensive mentored research training and career development. Funding includes an annual stipend of $80,000 for 75-100% effort and up to $35,000 annually in allowable research and training costs that may be applied to travel to scientific meetings, research project costs, and tuition expenses with approval of the mentor and program leaders. A limited number of individually-tailored, post-doctoral fellowships are available to highly motivated individuals whose research interests coincide with or further the goals of the Center. Former fellows have gone onto independent academic research careers and to important leadership positions at NIH. Doctoral level candidates in diverse fields are eligible to apply. Please see the staff page for current fellows and their backgrounds. Send a cover letter and CV to Dr. Evins to be considered. ACGME approved fellowship in addiction psychiatry available as a one-year fellowship or as a two-year half-time fellowship combined with sponsored research or private practice. Psychiatrists who complete the fellowship are board eligible in addiction psychiatry. Previous clinical fellows have gone on to successful academic careers at Harvard and Yale, to direct private organizations that provide treatment services for people with psychiatric and substance use disorders in the community, and to private practice. For more information on how to apply for any of these fellowships, go to our How to Apply page.